Hello and welcome to the Create A Smile "Sending Sunshine Kit" video hop! I’m super happy to be part of this fun event!!! The video hop begins on the Create A Smile blog but if you have been hopping along the blogs, you should have come from Sandy Allnock’s blog. Make sure you hop around to all of the blogs featured in the link list! You’ll find great inspirations! 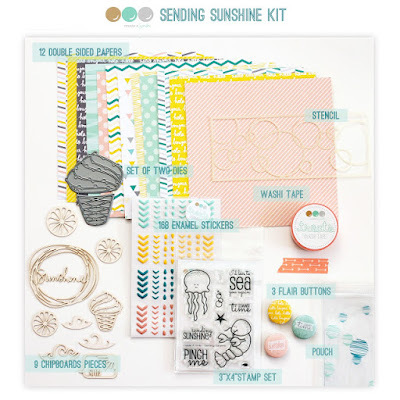 Create A Smile is releasing a new cardmaking and scrapbooking kit on May 15th at 8am CET (2am EST). The kit is a SPECIAL edition and comes in a LIMITED quantity! 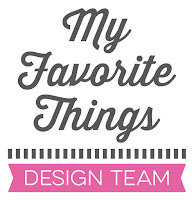 Some products are kit-exclusives and are not sold separately (stamp set, dies, chipboard pieces, stencil). The entire kit will be 35€… a very GOOD DEAL! So if you like it, don’t wait and check out the Create A Smile online store tomorrow (Friday)! VIDEO HOP GIVEAWAY! If you join our video hop, you could win this amazing kit! Enter the rafflecopter on the Create A Smile blog! If you like my work, it would be so nice if you become a new blog follower or a YouTube subscriber ! Various: heat gun, glue, 3d foam pads, etc. Enjoy the rest of the video & blog hop! Love the card you made..
Dear Francine, your card is awesome! Your background looks so beautiful and the vellum looks like a wave! I love it! Also the lobster is soooo cute! This new release kit is amazing! Thank you for sharing and inspiring! Wow Francine, das ist ein tolles Video und deine Karte ist wunderschön. Your background is perfect! I love your coloring on the lobster too. Your card has turned out so cute. Very cute card ! I love how you used the vellum ! Thanks for making me Smile ! wow great distressed ink technique...great card. Awesome card... Some many options from this kit.... I really want to win it! Fantastic underwater scene! I love how you added the vellum, too! Love the background of water. Really looks turbulent. Great card - wonderful coloring. Super FUN and UNIQUE Card you created I love your technique and how you made your own block Thanks for the inspiration! I love your background and the vellum. Very cool. Just love that gorgeous background and watching exactly how you did it on the video!! Very cool! I learned a lot from your video. Thanks so much! Great background and use of the vellum over it. Your watery background is the perfect setting for that adorable lobster (never thought I'd use those two words in the same sentence...). 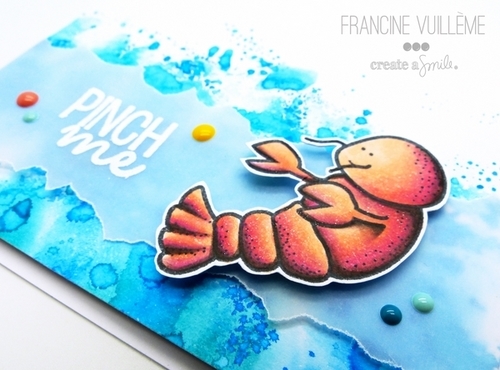 Beautiful job with a fun kit, Francine! I'm a new follower. 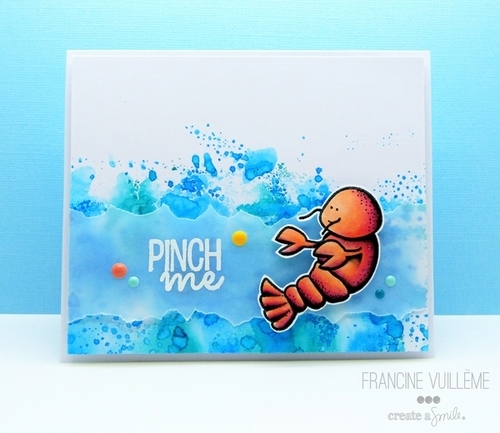 love the watery watercolor background it goes perfect with the lobster, thanks for sharing. So many beautiful cards.. I just love this one too! That background is beautiful. As always, stunning creation from you, Francine. :-D Love love love your card and great video. Thank you so much for sharing. So cool, dein Video und deine Karte! Der Hintergrund ist toll und dein Umgang mit Copic einfach fantastisch! LOVE this card and your video was so fun and I learned so much from you!!! Hope you are well! !